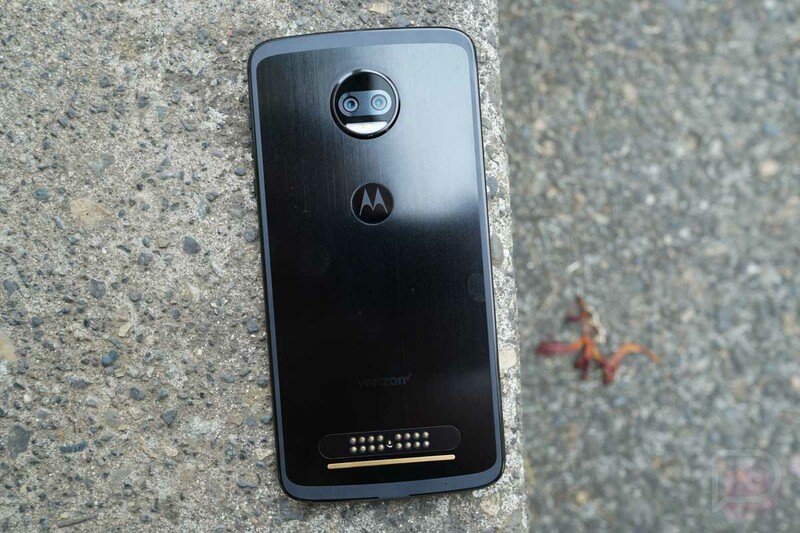 Verizon hasn’t mentioned it yet on any of its support pages, but the Moto Z2 Force sure appears to be getting updated to Android Oreo today. A reddit thread is filled with a handful of Z2 owners who were all able to pull the big update, all within a multi-hour stretch. The screenshot below shows the update arriving as software version ODX27.109-34. We don’t know the size from this shot, but it should be on the bigger side as a full OS upgrade. 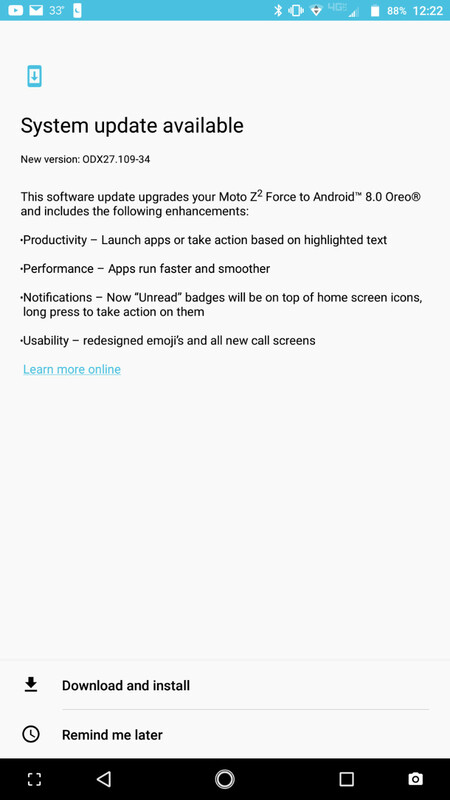 In the update, Android 8.0 Oreo will bring access to the new Autofill API for password lockers, notification channels, adaptive icons, better management of background tasks, new emoji, and more. At least, that’s what we know comes in Android 8.0, though we can’t yet confirm that Motorola has included everything, like Picture-in-Picture. The screenshot here also notes that apps will run faster and smoother, icons on home screens will have unread badges, and you’ll be able to “launch apps or take action based on highlighted text.” Not many apps support that, so don’t go in expecting a lot there. To grab the update, head into Settings>System updates. Should Verizon provide details, we’ll update this post.